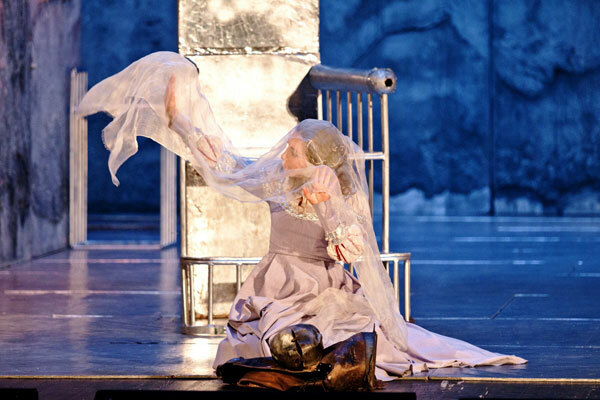 The performance is nominated for the national theater prize of Russia "Golden Mask". 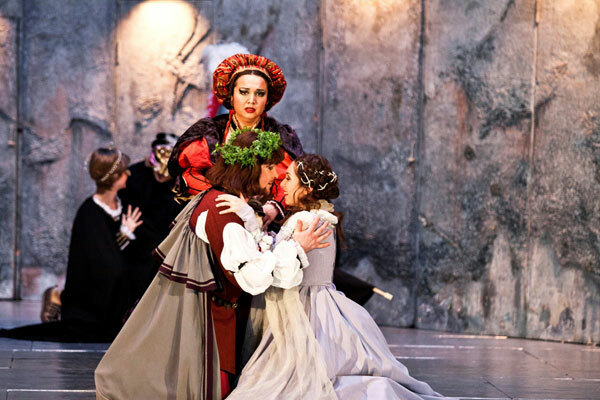 The production of Yuri Alexandrov bravely destroys the stamps that have developed over the centuries of theatrical life of one of the most popular operas of Verdi. The main thing in the play of the theater is the motive of the mask, the sinister masquerade of life. Verdi considered the plot of "Rigoletto", borrowed from the drama of Hugo "The King is amused," the best of all, put them to music. For the first time in the history of the genre, the hero of the opera was an old hunchback - a court jester, a hypocrite who was embittered all over the world. He ruthlessly avenges everyone who does not have a hump on his back. The director offered the public a new version of the psychological drama, according to which the court jester is not a hunchback at all, but a sarcastic, intelligent, evil and not at all old man. The hump and mask are just a buffoonish appearance, which he wears only at the court of the duke. However, moral ugliness can not be thrown off like a mask. An extraordinary man, forced to endure constant humiliation, he entertains with intrigues, willingly takes part in the dirty fun of his master and his entourage. 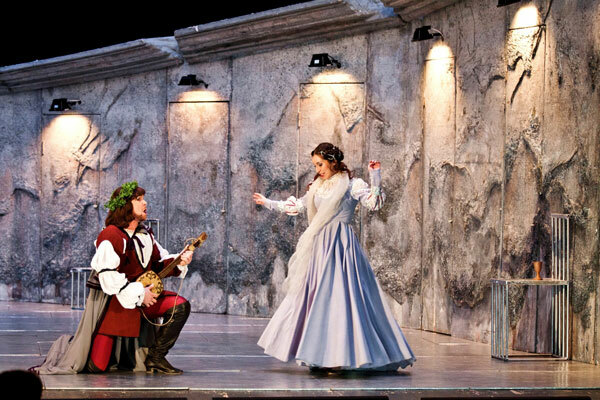 Fate punishes Rigoletto for cruelty, turning the murderer of his own daughter Gilda. Luxurious, exquisite costumes seem to immerse the viewer in a historical atmosphere. It seems that the characters in the play, dressed in expensive fabrics and whimsical masks, seem to have come off the canvases of old masters. The performance is very complete, with details carefully thought out, and just beautiful. And the actor's play and excellent musical performance meet the intention of the composer himself - the creator of the genre of musical drama. 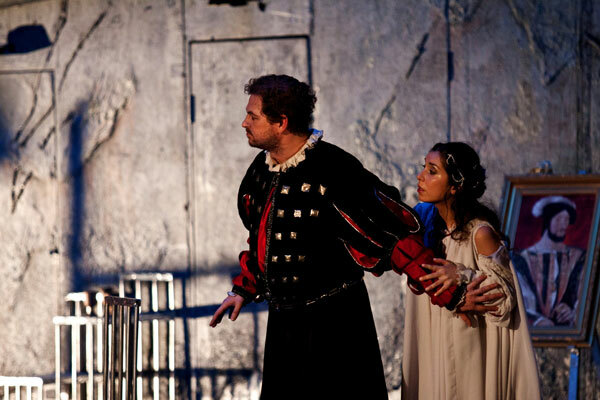 Francesco Maria Piave in Victor Hugo's drama "The King is amused"